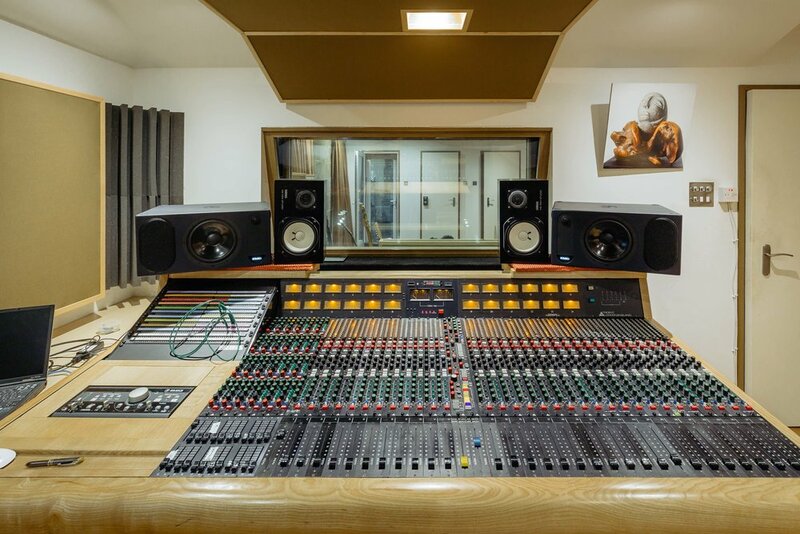 All equipment listed on this page is included at no extra cost with hire of the studio. with 24 further inputs which can be combined to give 56 input channels on mix down if required. I brought the desk from Sawmills Studio in Cornwall. They had three originally, one which they still use. The other two were stored and used for spares. Built originally in 1983, we took the best one painstakingly restored it, added another 8 channels as the original only had 24 channels. Dave Nally who I can totally recommend, built a new motherboard for the extra 8 channels and dealt with the serious electronic work. Martin Noyce at Control Sound built a brand new future proof patch bay, which works perfectly. Robin Legget and I, who did much installation work at the studio stripped checked and replaced all necessary components. I brought a brand new power supply from GRS Systems in the States allowing the original to be kept as a spare. Robin and Dan Williams did a fantastic job restoring the woodwork. The Desk now sounds great – Warm and Punchy and I reckon it’s got to be the finest example in the UK. Most of these desks that have survived have gone to the USA as they’re very sought after there. The Trident 80B has been used and loved by artists such as Queen, David Bowie, Oasis and The Stone Roses to name but a few. The EQ was designed by Malcolm Toft known as the Godfather of British EQ. It’s warm, sweet and very musical. The Mic pre’s have always said to be very open sounding. They are! Feel free to come and have a listen to it.